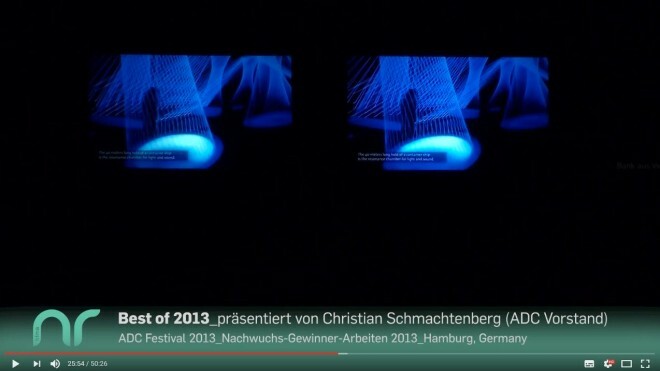 resonate is an interactive light & sound installation for the light festival luminale 2012 in Frankfurt. The 40 meter long interior of a container ship in the centre of Frankfurt in Holbeinsteg becomes an interactive light and sound display. 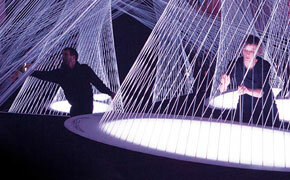 A glowing string structure is floating inside the steel hull and generates atmospheric sounds and images. With the help of digital LED light and sound the visitors experience this space as an interactive three-dimensional spatial composition. 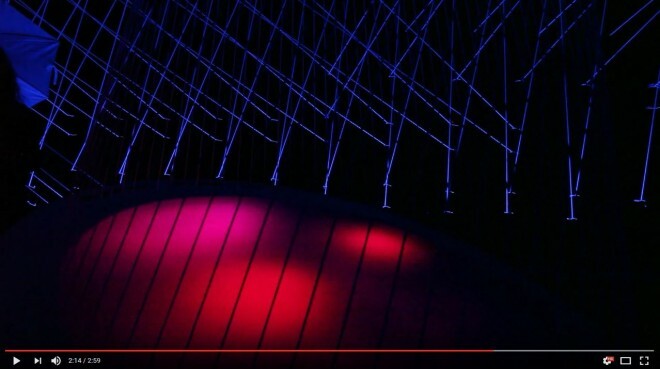 The light and sound installation, “resonate,” is an interdisciplinary project between the Master students of the program “Interior Design- Spatial Communication” University of Applied Sciences Mainz and the Master program “Sound Art — Composition” Johannes Gutenberg University. This project is sponsored by the Gutenberg Lehrkolleg of the University in Mainz, as a part of the “Innovative Teaching Projects” program, with generous support from Strack Logistics e.K. and Zumtobel Lighting GmbH.